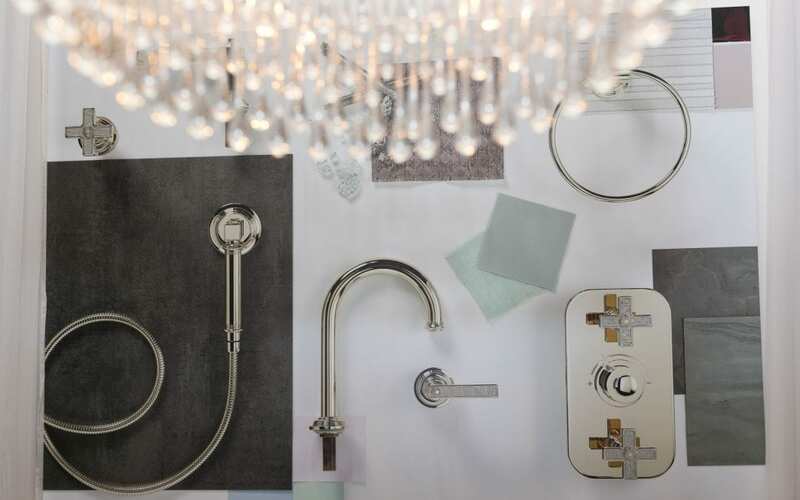 THG Paris, has become a name synonymous with quality since 1956 and is regarded as THE brand for high-end bathroom fittings and accessories. The idea for THG was conceived when Julien Haudiquez, Andre Tetard and Alexandre Grisoni, together T, H and G, joined forces. Over the years and through partnerships with a variety of prestigious designers and luxury brands, the company has grown to become the industry leader it is today. A living testimony to excellence in design, craftsmanship and the art of living, THG marries an inimitable blend of old-world artisanship with 21st century technology, culminating in a timeless collection of products. The brand places utmost emphasis on attention to detail and quality manufacturing and various subtle nuances reiterate the fact that every range is exceptionally well-designed and will stand the test of time. From semi-precious stones to crystal, porcelain, onyx, optical glass and natural marble, the brand constantly endeavours to select only the highest quality materials that stay true to its core values. The artisans themselves leave their mark by displaying a total respect for traditions. Some of the brand’s eclectic ranges include the Prestige Pétale de Cristal, Mandarine, Metropolis and Sully line; the contemporary Beyond Crystal; and the transitional Saint Germain collection. THG Paris’ renowned partners include Baccarat, Lalique, Bernardaud, Waterworks, Christofle, Daum, Manufacture de Monaco and Haviland. Every manufacturing stage from design and machining through to the foundry is subjected to rigorous quality control to meet the requirements of the brand’s clientele. THG Paris has proven its mettle by being awarded the prestigious EPV Entreprise du Patrimonie Vivant (Living Heritage Company) label. In addition to this, the brand’s design department assists clients in selecting the right style, function and materials to meet personalised needs. THG Paris’ products are also designed and adapted in such a way that they comply with standards across the world.